So what happened? Well, much like the Ebola spread – travel happened! It spread from a highly populated area (an amusement park in California that has a mouse as a mascot) to other various areas of the country. Basically, some infected people shared their measles with a bunch of visitors and they all traveled back to their homes… some in other states. As with previous outbreaks, it has spread more significantly among unvaccinated populations – which seems obvious. Here all the reported outbreaks since 2000 as reported to the CDC. As you can see, 2014 showed an increase in reported cases in relation to previous years. From January 1 to February 6, 2015, 121 people from 17 states were reported to have measles according to the CDC. They feel these are still related to the California outbreak and have issued health warning to local health departments to be on the alert. I am not even going to entertain the vaccination conversation, however, I will say simply this, I am not surprised this is happening. It was just a matter of time. The principle of eradication is based on herd immunity, if the herd doesn’t have immunity (not vaccinated), then it will begin to spread in the herd. Just to be clear, we are the herd. It lives in the nose and throat mucus and is transmitted through coughing and sneezing. The virus CAN survive on surfaces for up to TWO hours where an infected person coughed or sneezed. Infected people can spread the disease from 4 days before to four days after the rash appears. 3-5 days after symptoms begin – rash begins. The MMR vacine can be administered within 72 hours post exposure may provide some protection from the disease or modify the severity. If can not show immunity, patients can receive immunoglobulin, however, must be administered within 6 days of exposure and may provide some protection or modify the clinical course. Recommended, detailed guidelines can be found on the CDC website. Hopefully this gives you a good, general overview of measles. If you are a health care provider, especially if a first responder, ER worker or in a doctors/pediatricians office – please spend some time educating yourself on this not-so-common disease. You can find some great info on the CDC website tailored specifically to healthcare providers – I would especially take a look at the photos. Although, certainly, I am aware, more people will die from the flu, diabetes and heart disease this year -those are common diseases that most are familiar with. I am not old enough to remember people suffering from measles and clearly, most of the public has not either. So, as a nurse, I owe it to the patients I serve to be educated so I can better take care of them and myself. Thanks for visiting and please share! 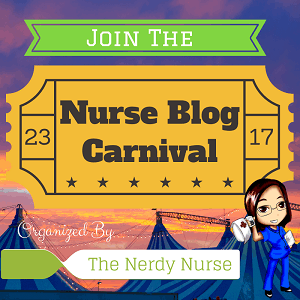 Learning Tools, Patient Education, Respiratory, Student Nurses, Uncategorized Education, healthcare, Nurse, Nursing, Nursing students, patient care, pediatrics, student nurse. permalink. Love…just found out my titer for hep b is zero — ugh, to be in the health field with out the proper immunity is a bit scary. I couldn’t agree more! Who would have thought I would ever have to worry about exposure to measles!! When I found out I don’t titer – despite repeated vaccinations – I wasn’t too concerned…. until now. Thanks for visiting & leaving a comment! A subject close to my heart. I had an evidence-based practice research participant for my doctorate capstone (dissertation) refuse to participate once she heard my presentation that there is not current research linking the MMR to autism. Sometimes, it’s just not politically correct or easily accepted to simply state a fact. I love your graphics, too. A picture truly does speak a thousand words. I wish people could see the fantastic graphics, esp bar column stats spoke to me. I will pin it. Thank you, @nurseteacher for teaching me! Thanks! The facts always speak for themselves! Thanks for the kind words! Can you pin this on a new parent’s blog somehow?